if the doors have only been opened once. Press the rocker switch until the pressure point is felt. The window will continue moving until the rocker switch is released. Press the rocker switch in briefly beyond the pressure point and the window opens or shuts automatically (one-touch function). In this case, window movement is halted by touching the switch again briefly. The one-touch function applies to opening and closing the door windows, but only to opening the rear side windows. There is a seperate rocker switch on the passenger's side for the passenger's side window. If a door window encounters an obstruction while closing at a point above approximately half the total vertical movement, the glass will come to a halt and then re-open slightly. Opening: With the door closed, turn the key in the doorlock to the 'Release thiefproofing position' and hold it there. Closing: With the door closed, turn the key in the doorlock to the 'Engage central locking system' or 'Activate deadlock' position and hold it there. Releasing the key halts the window movement. The convenient opening and closing of the windows and the sunroof can be done by the infrared hand-held transmitter. To open the windows and sunroof, keep button 1 pressed in. The openening movements begin after approximately two seconds. Opening movements are halted immediately when the button is released. 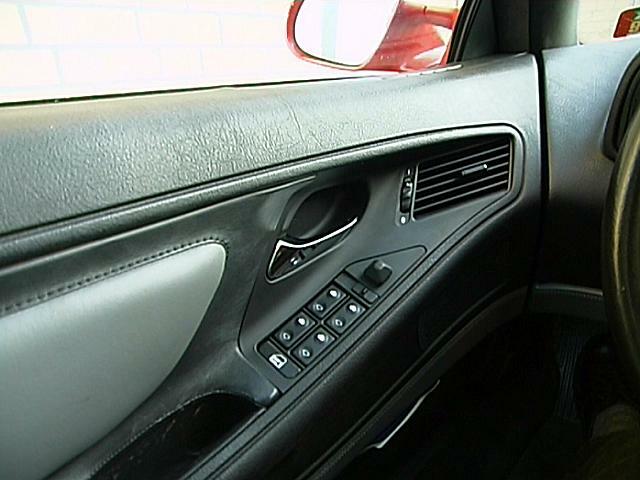 To close the windows and the sunroof again, keep button 1 or 2 pressed in. Closing begins after two seconds and is halted immediately if the button is released. If either door window is open when the car reaches a speed of approximately 150 kph, it will close automatically to keep the noise level low. However, if the window is then reopened, the function is put out of action for this particular window until the engine is restarted. The electric door mirrors can be adjusted in four directions with the mirror control switch. The mirror is selected by using the changeover switch. The mirrors can also be adjusted manually by pressing the edge of the glass. The pushbutton operates the central locking system when the driver's door is closed.